Schizophrenia is the most iconic of all mental illnesses but both its conceptualization and causes remain elusive. The popular image portrays patients convinced of being persecuted and hearing voices that nobody else can hear. In reality this complex brain disorder presents an endless variety of psychotic (delusions and hallucinations) and non-psychotic symptoms. This complexity is at the heart of a century-long debate about whether schizophrenia is a single illness or should be conceptualized as a syndrome, like dementia, in which different illnesses present common symptoms but have different causes. One important case to look at when considering the origins of schizophrenia is that of Vaslav Nijinsky (1890-1950), the most talented ballet dancer in history, who was diagnosed one hundred years ago. His biography resembles a novel, filled with drama, anecdotes, and controversies. A child prodigy at the Imperial Russian Ballet School in St. Petersburg, he went to lead Diaghilev’s legendary Ballet Russescompany that exhilarated Europe from 1909. Nijinsky was famous for the prodigious leaps, technical perfection, elegant movements, and delicate expression of emotions as much as for his radical choreographies (figure) that opened modern dance to the general public. L’après-midi d’un faune, premiered in 1912 at the Théâtre du Châtelet in Paris. The first choregraphy by Nijinsky was the first ‘dissonant’ ballet, uncoupling movements and music, generated a major controversy. 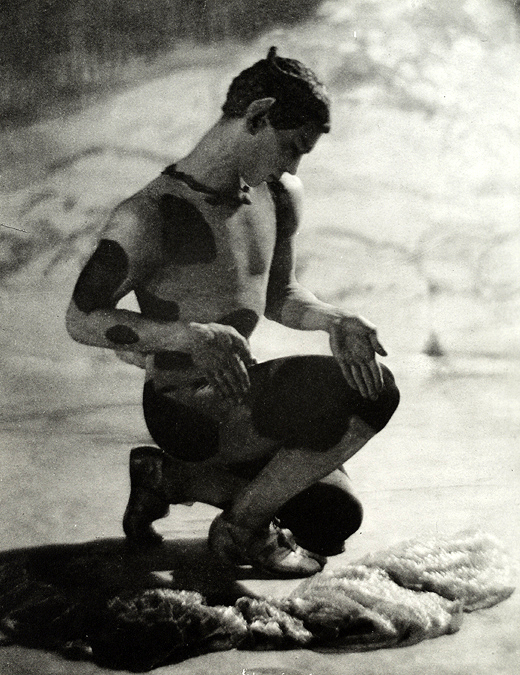 Image credit: Nijinsky in “L’Après-midi d’un faune”. Paris by Adolf de Meyer (1868–1946) and Oregonian2012. CC BY-SA 3.0 via Wikimedia Commons. The fame of the God of Dance, as he was called, was extraordinary. For instance, as Russian national, he was under house arrest in Budapest during the First World War. A high-profile international diplomatic agreement was needed for a safe-passage, with the strict condition that Nijinsky must dance again. He was also prone to choleric outbursts and impulsive acts. Once, he threaten to leave the company in Barcelona due to financial disputes and police had to detain him at the train station and bring him back to the theatre. In 1917, after his second dismissal from the company due to erratic behaviour, Nijinsky settled in Switzerland with his family. He continued to suffer from disruptive delusions and hallucinations, however. He described these experiences richly in his diaries, a masterpiece for self-reported schizophrenia symptoms, and a must-read to all psychiatrists-to-be. Professor Eugen Bleuler and Nijinsky met on 6 March 1919. The towering figure in psychiatric history assessed the world-famous dancer at the Burghölzli, an asylum near Zurich. Bleuler concluded, “intelligence evidently very good in the past, now he is a confused schizophrenic with mild manic excitement.” Nijinsky was just 30 years old and was never to recover. Prof. Eugen Bleuler, circa 1900. 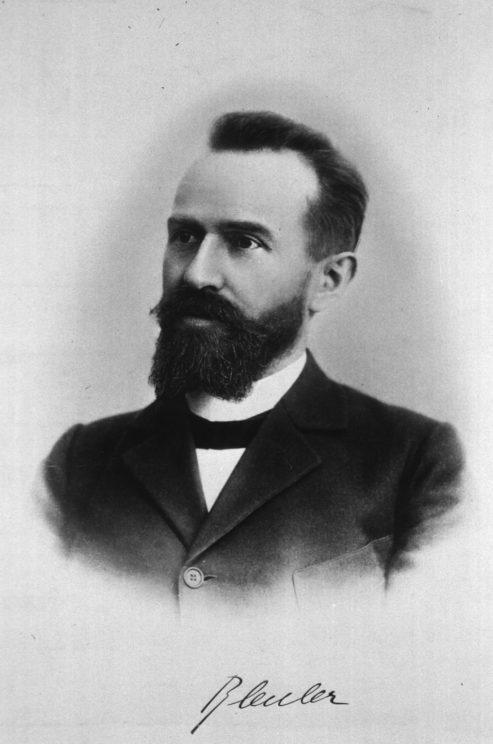 Image credit: Eugen Bleuler by The National Library of Medicine. Public Domain via Wikimedia Commons. During the following twenty years he spent his time in and out of mental health institutions. The majority of the time he was either catatonic or displayed disorganized speech and behaviour. Some of the most renowned psychiatrists of the age—including Ludwig Binswanger, Carl Jung, Nobel Prize winner Julius Wagner-Jauregg, Alfred Adler, and Manfred Sakel —treated Nijinsky, with little success. Nijinsky had barely any symptom-free periods. During the Second World War, Nijinsky narrowly escaped the Nazi program for eradicating patients with mental illness by hiding in a cave. He finally died of kidney failure in London at the age of 60. Schizophrenia is currently conceptualized as a disorder in which genetic and early-in-life stressors affects the brain development (the so-called neurodevelopmental hypothesis). Subtle cognitive, social, and motor impairments act as silent markers of the disease during childhood, albeit psychosis will emerge after adolescence, when the illness is diagnosed. Understanding Nijinsky’s case only under this neurodevelopmental prism is challenging, however. As a child he was prodigiously balanced, with formidable strength and harmonic movements. His case does not fit with the neurological soft-signs and subtle motor abnormalities that are signs of neurodevelopmental problems. Indeed, Nijinsky’s biography is filled with tragic events, including repeated physical and sexual abuse before psychosis onset, crudely reported in his diaries. Such traumatic experiences are considered major risk factors for developing psychosis and schizophrenia. Nijinsky’s case might be an iconic case of this group of patients in which trauma is present later in life and not directly related to early neurodevelopmental factors. Unravelling the mechanisms by which trauma is associated to schizophrenia remains a challenge. Intriguingly, Bleuler was among the first to advocate for a syndrome approach for the disorder. Dementia praecox, the old term for schizophrenia, was first proposed by Emil Kraepelin, after grouping three independent illnesses (paranoia, catatonia and hebephrenia) into a single category or clinical entity. It was Bleuler who in 1911 coined the term schizophrenias, in plural, to highlight the likely different causes for the disorder. The attempts to differentiate schizophrenia subtypes based in clinical features have failed, however, due to poor reliability and frequent overlap between subtypes. 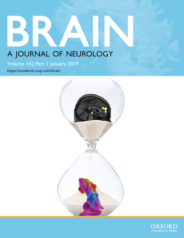 A recent effort to deconstruct mental symptoms into their cognitive domains, which also resembles Bleuler’s fundamental symptoms approach, is a new step in the understanding of this complex disorder or group of disorders. Featured image credit: “Curtain” by Eli Elschi . Public Domain via Pixabay.